These are so-called simply because they accept Bitcoin, a cryptocurrency launched back in 2009 that’s both the first of its kind and currently the most widely used in the world. Some casinos accept Bitcoin along with traditional currencies, whilst some just accept Bitcoin and no standard form of currency at all. While there’s no denying that Bitcoin has been a huge success, paving the way for loads of other cryptocurrencies to launch in its wake, it hasn’t been without its problems. One of the most prevalent ones has been volatility. The cryptocurrency has experienced a number of sudden increases and decrease in price, and as a result is said to be over a dozen times more volatile than the US dollar, for example. What do these mean for Bitcoin casinos? Even though there are many pros to using Bitcoin - it’s anonymous, offers instant transactions and doesn’t impose limits on transactions - there are a few cons. The fact that the price can fluctuate quite a lot is a major one. This can put some players off using Bitcoin - after all, why go for a cryptocurrency with an unsteady price when you can use a steady traditional currency with a steady price? Fluctuations can make Bitcoin-exclusive casinos seem less appealing and traditional currency casinos more appealing. As a result, they may persuade some players to stick with regular casinos and not even think about using cryptocurrencies to gamble with. Owing to Bitcoin’s increasing popularity, its value did experience significant amounts of growth from 2016 onwards, reaching a peak of one Bitcoin for £14,755 pounds in mid-December 2017. However since then, the price has fallen quite considerably. While many players will want to use Bitcoin hoping its value will increase, there’s always the risk of carrying out transactions right when there’s been a short-term price crash. 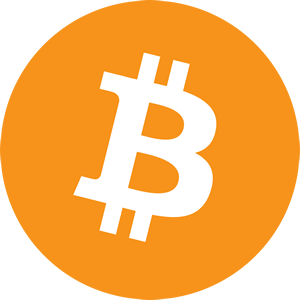 On 30 November, one Bitcoin was worth £3,115. On 31 October, a single Bitcoin was worth £4,937, which is a drop of £1,822 in just one month. If you were to win the big jackpot on a slot, let’s say, deciding when to withdraw your money becomes very important when using Bitcoin. With the price varying so much, you have to get the timing just right to get the best value for your winnings. If you converted your winnings into UK pounds at the end of October, you would have got a great deal for them; had you waited, you would have got a much worse deal. While short-term price drops can put players off, what can also be a deterrent to gambling at Bitcoin casinos is the long-term price drop. There’s every chance the cryptocurrency could increase in value, though if recent trends are anything to go by, it’s gradually going to become less and less valuable. This will make it less of a viable option to consider. Why use it when, over time, you could well end up getting increasingly less value from it? It might be best to stick with fiat currency online casinos like Zodiac Casino. All currencies fluctuate in value. Traditional ones do this all the time, though they differences in price don’t tend to experience dramatic changes. With Bitcoin and other cryptocurrencies, the changes can be quite dramatic and sudden. This is mainly because of the fact that cryptocurrencies aren’t backed by any sort of banking institution or centralised government body. These changes can have a negative effect on Bitcoin casinos because it can put players off. People like knowing the currency they’re using is steady and valuable. However, if you keep an eye on price fluctuations and only carry out transactions when the rate’s in your favour, Bitcoin can still be quite a good currency to use. Hopefully in the future as more and more people use Bitcoin, the size and frequency of price fluctuations should decrease and the cryptocurrency should become just as steady as traditional currencies.